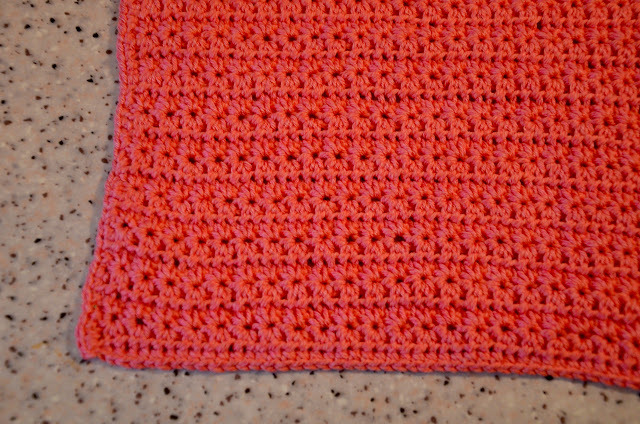 The worst bamboo dishcloth boom has already started to wear off, but my first try was still waiting to be born. I don't know what exactly hit me, but one day I just decided I HAVE to make one too. Just to see how it works in real life. 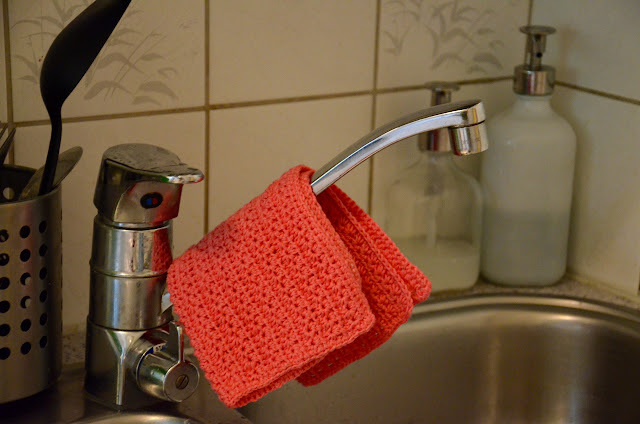 Is it practical enough to be a permanent inhabitant in our kitchen? A similar pattern can be found here, at the eilen tein -blog. My dishcloth is however a little bit smaller and shaped like a square. 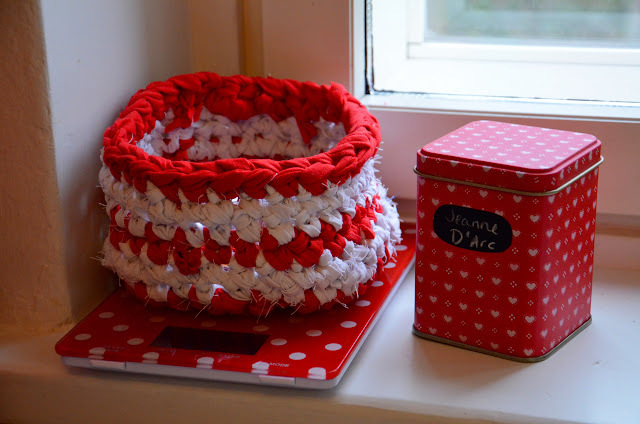 I also crocheted a neat, little basket for our kitchen to store pens, notes and other small stuff in. It continues the candy theme I've mentioned earlier. There's also some other new-comers to our kitchen since the last time you saw some pictures of it. The first one is an old kitchen scale that I found at a flea market in Lohja. 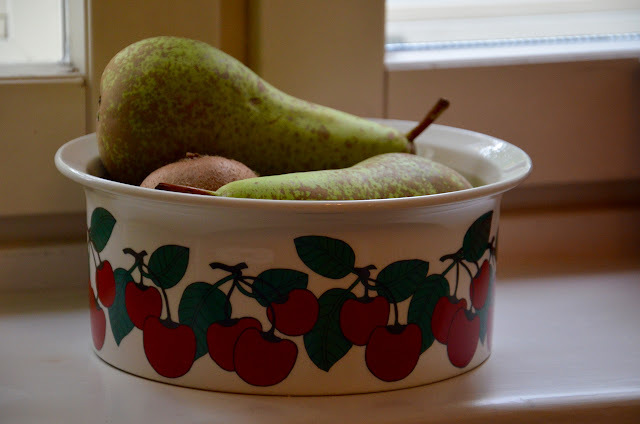 The other one is a bowl from the Arabia Kirsikka series I found stuffed away in my mom's kitchen. 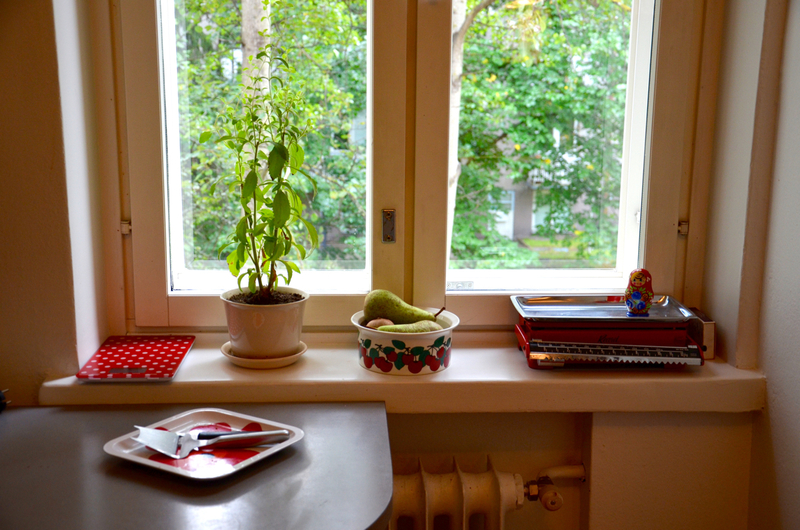 It made a perfect new fruit bowl and is even small enough to fit the window sill! 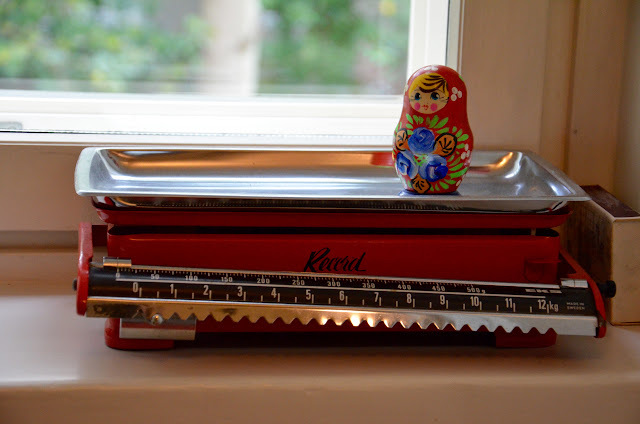 The other polkadot kitchen scale is from Clas Ohlson. Just couldn't resist it when I saw it. It was just too perfect! And that's the scale we use the most, the old vintage one is more of a decoration. The plant on the window sill is a Stevia - a natural sweetener. Have you ever tried it? I sometimes find it quite tricky to cook with but it certainly is sweet! Last but not least: here's a cute new pepper grinder I happened to stumble over at Tiger. 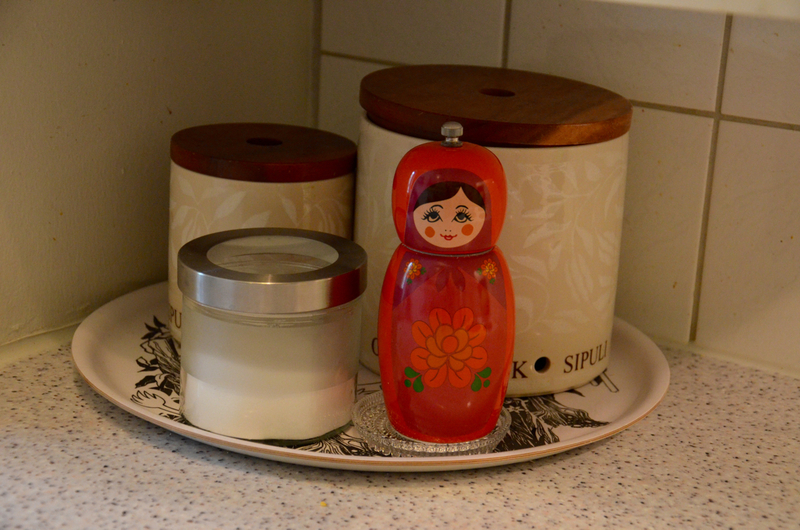 So now my old Maatuska (a souvenir from my trip to Moscow in 2007) has a new friend in the kitchen!